How Tennis Ball Dryer works. 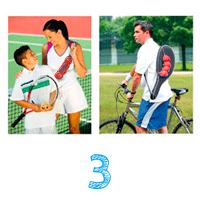 It dries tennis balls, includes a net measure, easy carry sling balls bag and keeps drinks cool. Drying your tennis balls has never been easier.After playing tennis and realising your balls are wet, simply pop up to four tennis balls into the Tennis Ball Dryer and pull the handle.The Patent Protected 3 layer drying system is now wrapped around the balls surface and the drying begins.On contact with the inner layer, the water in the tennis ball fibres is transported to the opposite side of the membrane and absorbed into the second layer where it is locked and naturally evaporates through the third ventilation layer.Simply leave to dry and when you return to the tennis court for your next game, you have a set of tennis balls you can use again instead of throw away when they would normally still be wet.Tennis Ball Dryer saves you money on new tennis balls every time they get wet. It is good for the planet too with less rubber waste.This is a must have gadget for any tennis player. A net measure checker is integrated into the handle.“Is the tennis net at the correct height ?”, has been said by many of us on a tennis court before a game.Often there is no net measure guide available to help check the net, so tennis players just end up guessing the correct height and confidence is never assured.No need to guess the correct net height anymore, as you can use the Net Measure Guide on the Tennis Ball Dryer. Your opponents can no longer blame the net height for losing to you.To use, simply un-pop the fastener on the cord and extend the length of cord straight through the bottom of the bag. 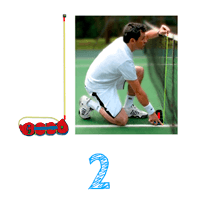 Now hold vertically against the centre of the tennis net and use the length between the two red markers to check the net height matches the distance between them. 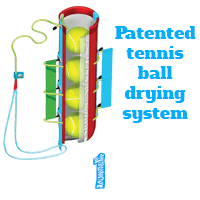 Tennis Ball Dryer also offers a useful storage and carry function. When walking or cycling to the tennis club, carrying a tin of balls can be awkward. You may have to carry a racket, a tin of balls, a mobile phone and a bottle of water. Tricky with just two hands.This is not a problem if your tennis balls are in a Tennis Ball Dryer. 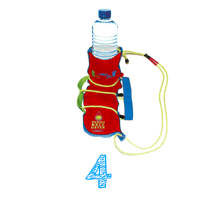 You can easily carry it over your shoulder or in your hand via the comfortable cord handle. No bulky sharp tin to hold.Don’t worry about your children cutting their hands on nasty metal tennis ball tins any more. Instead, place their tennis balls in a Tennis Ball Dryer for safety.Easy to carry, simple to use and useful for tennis players of all ages and ability. Stay refreshed during your tennis match by keeping your drink cool.Why not keep your drink cool whilst you are playing. 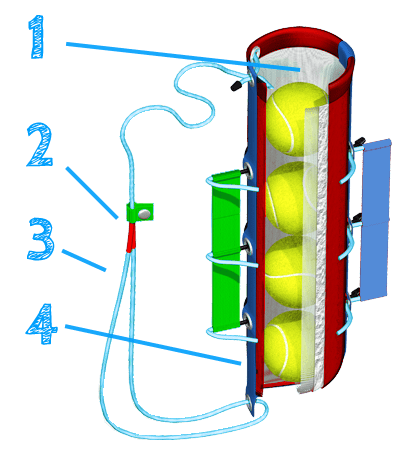 Don’t leave your drink bottle in the sun, place it in your tennis ball dryer and it will remain cooler for longer.Tennis Ball Dryer is the essential 4-in-1 tennis accessory for everyone who plays tennis.